Just wondering if this is a common problem area on these cars or something more sinister? Factory seam or not? Thanks for any input. 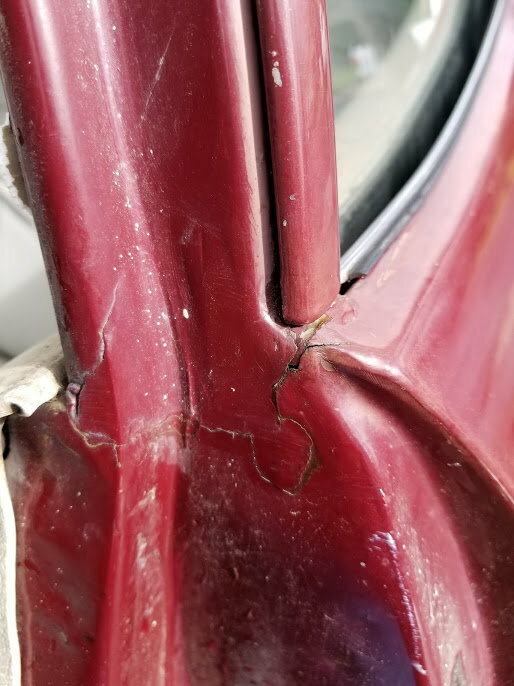 Looking to purchase this car and noticed this crack. Also, the roof is somewhat tweaked and has some minor creases/dents in it but not sure if related. Maybe just buyer's paranoia. Thanks! I wouldn't think you are having buyers paranoia at all. I suspect you will shortly see some real comments especially about the "tweaked roof". Im no expert and especially with post coupes but it seems there may be some previous damage or rust issues? I wouldn't think there would be lead or a factory seem there? but Im not sure? Looks like plastic giving way. With the roof stuff maybe a tree fell on it at some point and cracked the post? Either owner isn't telling you something or he doesn't know? IMO - that is typical factory/original work. There IS lead work done there by the factory. D side on my '70 post car looks similar and the car has never had any panels replaced, etc. P side on mine is much "cleaner" looking. IMO - the factory guy on the P side was a "neatnick" and the guy dealing with the D side could have cared less. Of course, look for other clues but my bet is it is original. 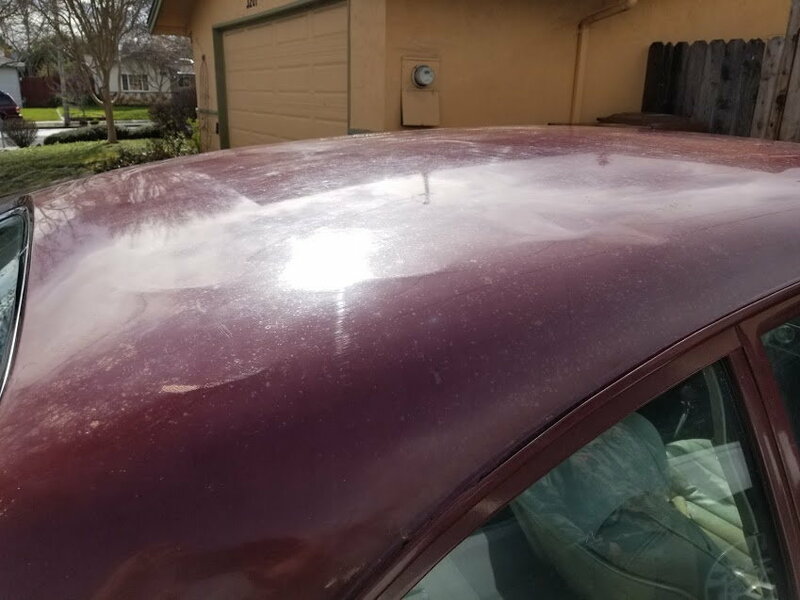 Roof dents - typical "whiskey dents" - fairly common.....not bad to repair/remove but you'll have to remove the headliner and scrape away the crappy roof insulation to get to the backside. How do you define "normal" when it comes to these sometimes-crudely-built cars?? Sure, if you are used to staring at "overdone" cars then that may look odd to you. Surely you've seen original lead roof seams at the back/sides of our hardtops....WAVY, WAVY, WAVY. The list of "don't look normal" stuff on our cars in their original state, when using today's over-restored standards, is a VERY LONG LIST. Looks great to me...."originality".....soon to become an endangered species. Last edited by 70Post; February 11th, 2019 at 06:50 PM. Also - if you study the pic it's obvious why it was done. The window frame/post stuff and the QP are separate pieces. This was GM's attempt to cover up any seams or gaps where those parts all come together. Slick work?? No....but as mentioned, there is plenty of this type work on the rest of these cars. Thanks for the good words Terry. 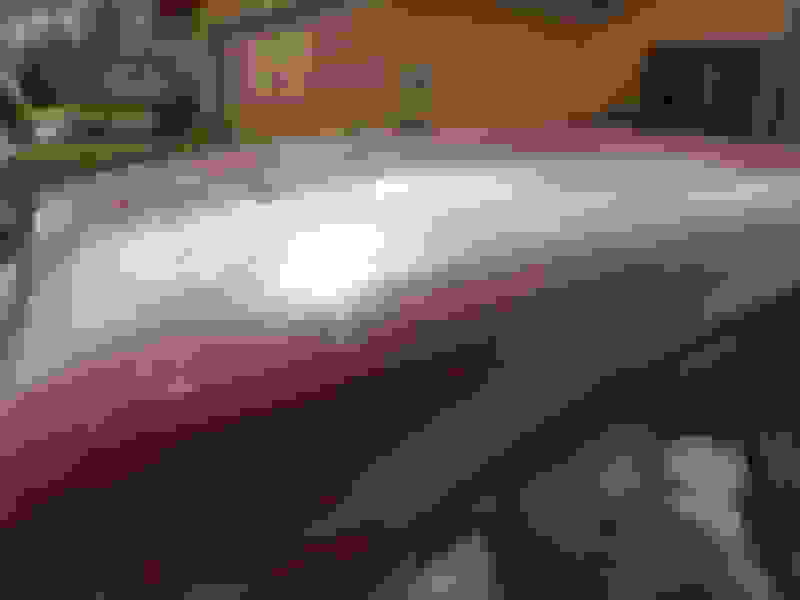 Last edited by 70Post; February 11th, 2019 at 07:27 PM. I can't see a big fat dog jumping onto the hood or roof, then scrambling up the glass onto the roof. A big lean dog like a Great Dane, Doberman, etc, yeah.